Twenty miles west of Ischia, Stefano and Ventotene are the closest islands in the Pontine group. 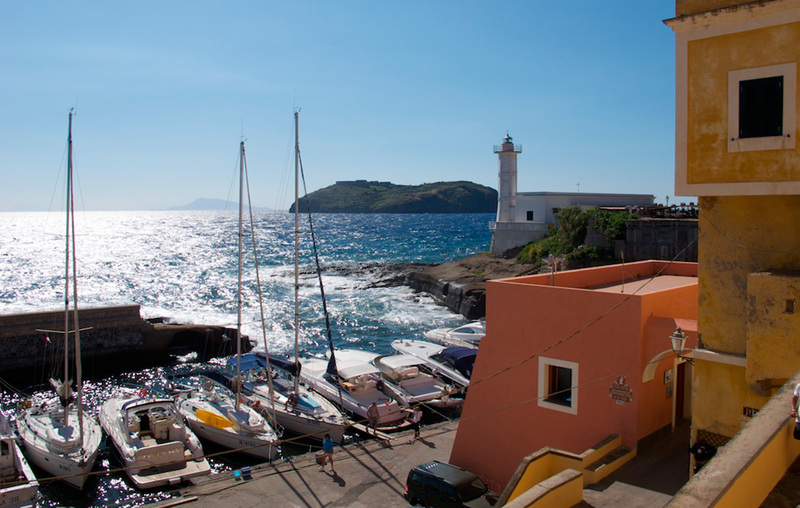 Stefano is just a circular hump with an old prison on top, but Ventotene has two harbours on its north-east side. The older, southern basin is opposite the village and most attractive. The larger north port has more space but ferries come and go here. Except in high season the island is quite peaceful. The village stacks up grandly from the old Roman harbour and the imposing town hall looks like some colonial outpost. Bistros abound, but I like Ristorante Da Benito, near the archaeological museum on Via Pozzillo. Four miles long and shaped like a boomerang, this heavenly island has a strangely weathered coast, which catches light in amazing ways. 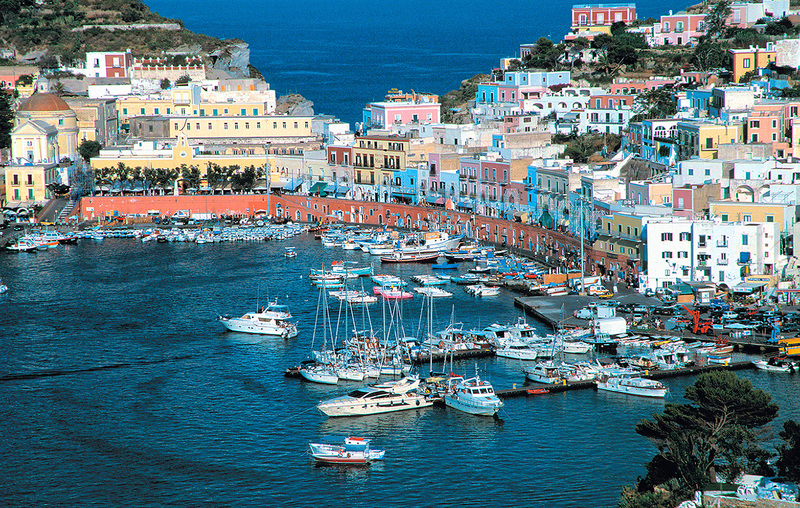 Easy to visit, Ponza has a wide harbour bay with various visitor pontoons around its edge. The village is a patchwork of cubes in cream and ochre, rising to a bold white lighthouse. The upper slopes are green with olive groves, citrus trees and rows of vines. The quays are alive with ferries, hydrofoils and brightly painted fishing boats. Although berthing is expensive, it’s worth the price to experience the daily theatre of the place, from early calm stillness through to the dusky harbour lights. The island also has several fair-weather anchorages, especially along its ravishing east shore. Thirty miles north of Ischia on the mainland coast, Gaeta is an excellent cruising and winter base within easy reach of the Gulf of Naples. The marina is tucked behind a steep peninsula, which has a prominent lighthouse, grandiose fortress and crumbling old town perched above the cliffs. 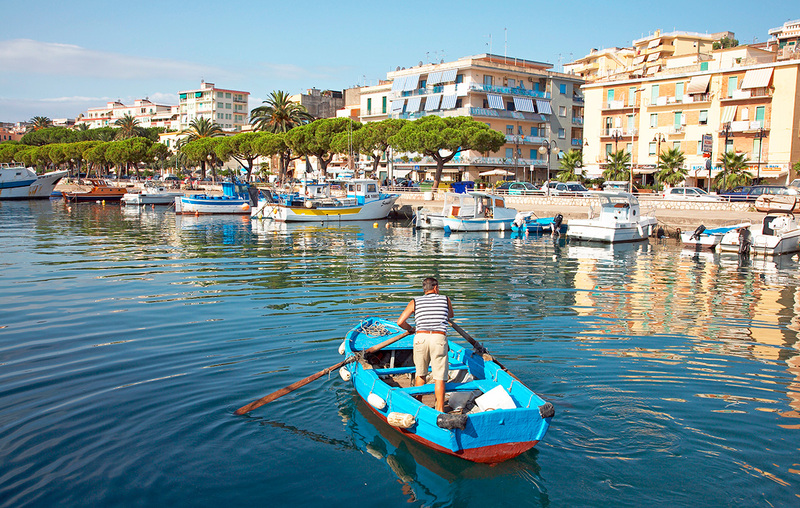 Backed by hot hills, Gaeta’s mellow waterfront curves around the bay in warm Italian shades. Glitzy yachts gleam in the harbour and a leafy promenade tails away north. I’ve always had a warm welcome at the Base Nautica Flavio Gioia, an efficient marina and yard especially sympathetic to visitors. Director Anna Simeone speaks excellent English and has organised winter berths here for many UK boat owners. If you are contemplating a couple of seasons on the Italian west coast, this is an ideal home from home. First published in the January 2016 edition of Motor Boat & Yachting.